In the years BC (before coeliac) we used to get a takeaway from our local Chinese on a Friday night sometimes. We always really looked forward to it but it was generally a bit disappointing. I can’t really put my finger on why, but I guess there was a lot of MSG and I distinctly remember the egg in the fried rice looked pre-cooked and thrown in at the last minute. Other than stir fries, Chinese food these days is generally reserved for special trips to Hui Wei in the centre of town, which has an awesome gluten free menu and now delivers if you live within 4 miles. Tragically, we live a bit too far out of town, although that’s undoubtedly a benefit for the waistline! Anyway, I was very excited when I came across this Sweet Mandarin gluten free hoisin sauce on Ocado. 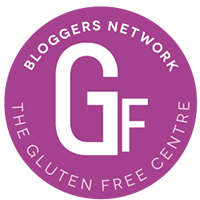 In fact I’m now even more excited because I’ve just looked at their website and they have a whole gluten free range, including BBQ, black bean and OK sauce, which are also dairy free and nut free. They have a restaurant in Manchester too. I don’t cook duck very often, and when I do it’s usually the breast, so I spent a while researching how to get crispy duck legs and lovely soft meat. The answer, which worked a treat, was a collaboration of a few things I read and involved almost confit-ing them, so they took a couple of hours to cook, but it was really worth it. The meal was divine, and so much better than our disappointing old takeaways. I wish I’d taken some more pictures of the duck, but when I do this again (I bought 2 bottles of sauce) I’ll update this post. One leg per person for a main course. Pat the duck legs dry with kitchen roll, then prick the skin all over with a sharp knife, but pierce the skin only, not the flesh. Find the smallest dish the four duck legs will sit in with as little extra space as possible. Season generously and pour over a little oil (I used groundnut), then bake in the oven for 90 mins to 2h at about 160C (no need to preheat the oven). The holes in the skin let all the fat come out and they will cook partly submerged in it so they don’t dry out. Towards the end, you can increase the temperature to 180C to crisp the skin. Leave to rest then tear apart with a couple of forks and serve warm, with the hoisin sauce straight from the bottle. You could mix the sauce into the duck, of course. Forget the spring onions in the fridge and BBQ them on Sunday instead like I did, or slice them on a jaunty angle and sprinkle on the duck for a bit of colour and freshness at the end. Cook, drain and cool the rice in advance. I used about a cup and a half of basmati rice for four of us, rinsed under cold water and simmered in plenty of boiling water. The secret is to not stir the rice at all during the cooking and it comes out perfectly every time. In a wok, fry a handful of pancetta in a teeny bit of oil until it’s becoming crispy, then add in a handful of onions sliced sufficiently thinly that your 6 year old might not notice them. Once softened, put in a handful each of peas (still frozen is fine) and sweetcorn. If using raw chicken or prawns, add before the peas and sweetcorn and cook through, or if cooked, they can go in after. Give everything a good glug of soy sauce, then tip in the rice and stir through. Once the rice has been heated well, pour in the beaten egg and keep everything moving for a few minutes at a medium to high temperature to mix it through and cook the egg, then serve. I think some people say to make a space in the middle of the rice mix and cook the egg in that before stirring it together, but I’m not that keen on the big lumps of egg – I prefer it cooked through the rice. We’ve had the special fried rice on its own plenty of times – it’s one of my comfort foods. With a bit of chicken and / or prawns, it’s a filling meal by itself, but with the hoisin duck and prawn crackers, it was a real treat. Tags: chinese fakeaway, friday night food, gluten free chinese, gluten free hoisin duck, gluten free recipe. Bookmark the permalink. Had to stop by when i saw gluten free. Great dish! Hi there. If I’m doing rice as an accompaniment I do about 1/3 cup uncooked per person. If rice is the main event, a bit more. I’m a bit freeform! Thank you! Would it also be possible to get exact or approximate measurements for the seasonings that go along with the rice? I tend to go free form and not worry too much about how much of all the ingredients I have. But roughly, for 4 people 1 cooked chicken breast, 1 cup prawns, 1/2 cup each of peas & sweetcorn, 2/3 cup pancetta. Half an onion, a couple of spring onions, 2 eggs. But it’s not necessary to measure ingredients for this really.